Dawn Food a refrigeration Challenge - Froztec. The city of Sohar in Oman reaches high dry bulb temperatures above 60 ° C and very low levels of relative humidity. At the same time, the water supply is very complicated, reason why this resource becomes considerably more expensive. Under these conditions, designing and implementing an industrial refrigeration system is a really big challenge. But Sohar was also the city chosen by Dawn Food, the world leader in industrial bakery, to set up its latest cake and donut production plant. From there, they currently supply products throughout the Middle East, including the profitable Saudi Arabian market. 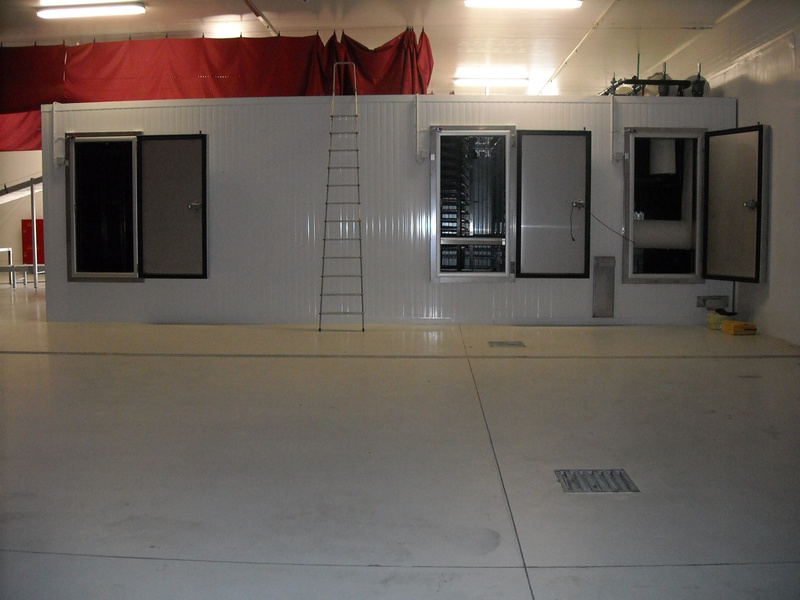 And its industrial refrigeration system for food plays a key role to achieve it. The challenge: large production volumes in extreme climatic conditions. 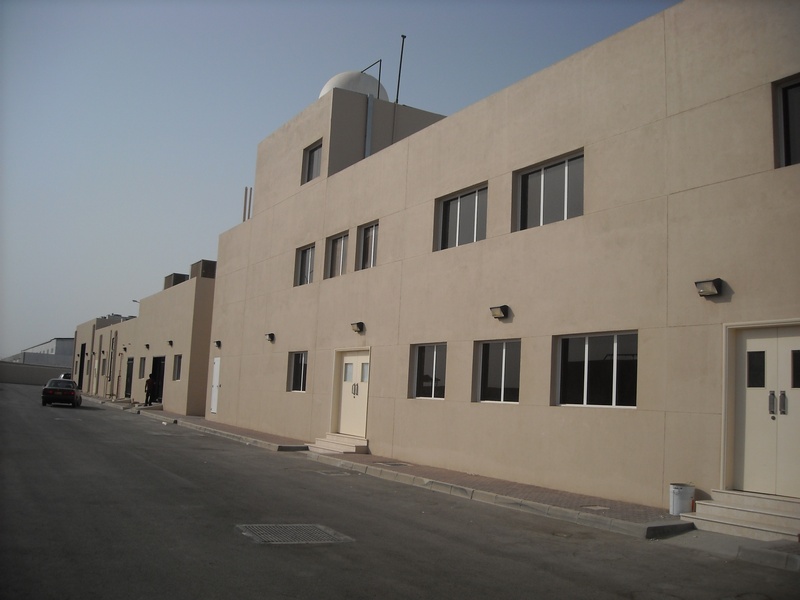 The Oman plant needed to produce large quantities of fried donuts, that are capable of being frozen and stored for long periods of time, exceeding distribution expectations for the Middle East. The production goal for this Dawn Food plant was to ship 2000 kg of fried donuts per hour, and freeze them at a temperature of -18ºC for packing. In cold numbers, this translates into a production of 70,000 to 75,000 fried donuts per hour, maintaining impeccable hygiene standards. 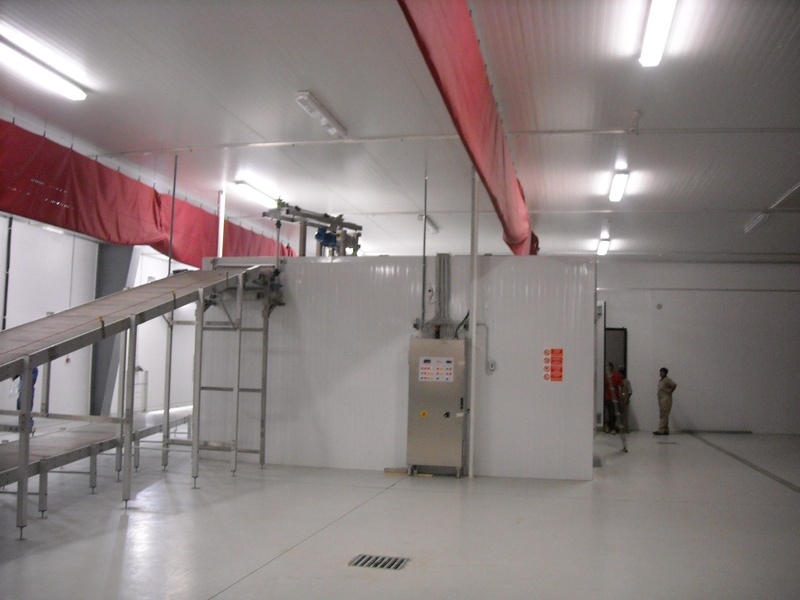 To achieve Dawn Food's required production, it was necessary to implement a continuous cooling tunnel with recirculated evaporation. This would guarantee a greater production capacity and a high efficiency index. 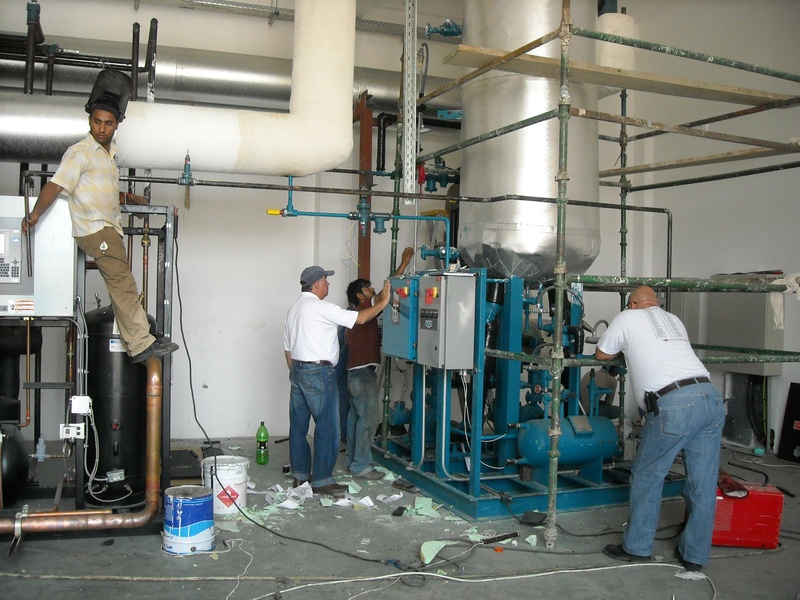 But the extreme conditions of Sohar make it impractical to apply a traditional refrigeration system with ammonia and evaporative condensation. Also, the high cost of water made the use of a high efficiency refrigerant even more complicated, which would trigger the condensation temperature, increasing water consumption. For Dawn Food, we designed an industrial refrigeration system for single food processors with the signature of Ing. Silvio Toro, that included the separation of air in the recirculator, making the compressors stay well lubricated. We decided to use Freon R-404A and air condensation, which minimizes the use of water during condensation. A rack of three parallel screw Bitzer compressors manufactured by Krack. Krack condenser and oil cooler. RVS recirculator built specifically for our engineering group, with an oil recovery system for R-404A refrigerant. 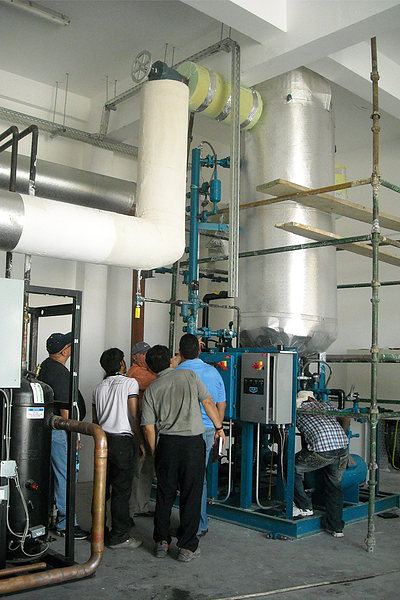 As in all projects, we seek an impeccable implementation to guarantee the maximum efficiency of our cooling systems. 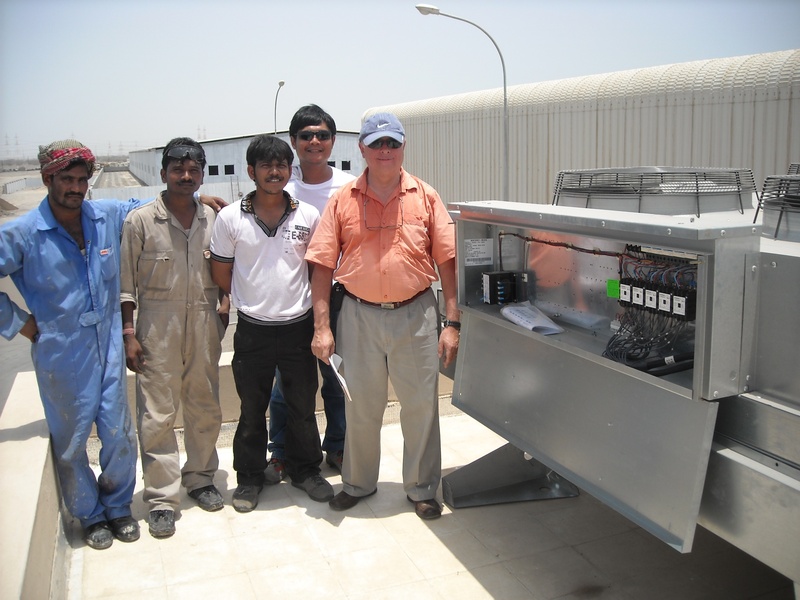 In the case of the Dawn Food plant in Sohar, we worked hand in hand with their team, supervising and correcting the installation of the refrigeration equipment. After the three start-up visits, and the training given by Froztec to the Dawn Food team, the plant began operating in perfect conditions, increasing efficiency thanks to the electronic modulation of the compressors included in the rack. Today, the plant distributes fried donuts to the entire Middle East, with a 24/7 production divided into three work shifts.